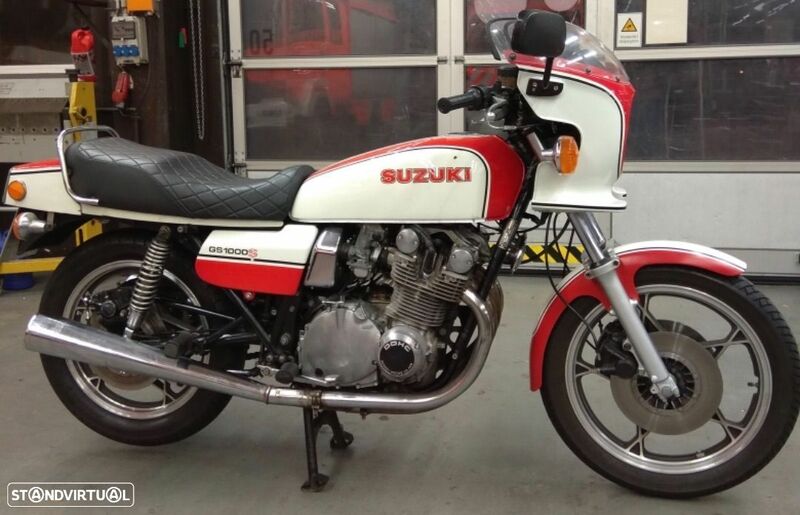 Anúncio inactivo - Encontre veículos semelhantes: Motos - GS . English only please, new to PT and still learning....:-) Selling one original Suzuki GS1000S Wes Cooley with low kilometers, in good used condition, not perfect but also not excessively expensive, runs well, original paint, original engine, asking price includes transport to Portugal, to our house in Colares, Sintra. Original german delivered motorcycle. We have too many bikes, too little time and need a 4x4. More info in person on the phone or via email. Will trade for nice UMM Alter 2 from 1991 and up. Thanks for your interest.